My in-laws gave me this gorgeous MK bucket bag for Christmas. The leather is nice and buttery and the gold details are really pretty. I also love its thicker strap, which makes it easy to carry, and the medium size, which keeps me from loading it up too much. For this outfit I stuck with dark neutrals plus my tweed puffer vest. I added a pop of color with the blue fringed scarf and the coral earrings. 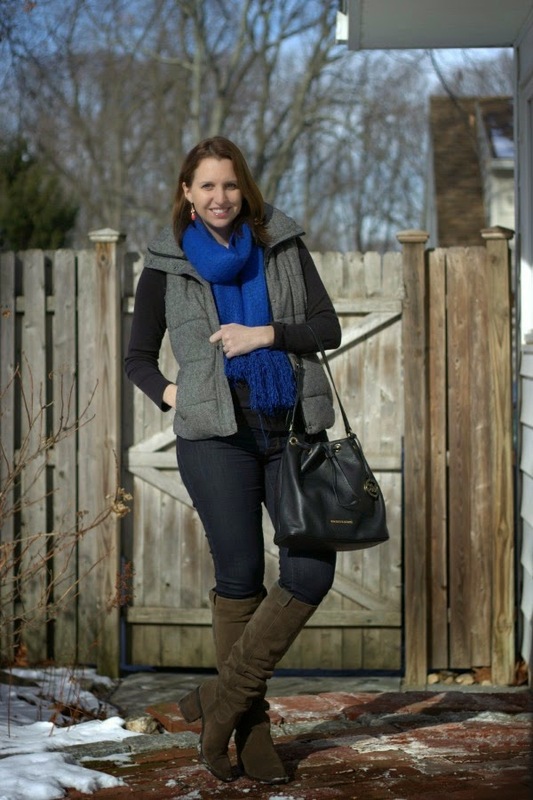 Easy casual outfits like this one are pretty much what I have been living in lately! Linking up with Claire Justine OXOX, Mix & Match Fashion, That Friday Blog Hop, Style Elixir, The Red Closet Diary, Stylin in St. Louis & Living in Color Style, That's So Crystal & Sequins & Style, Amy's Fashion Blog, Rachel the Hat & Lena B actually. What a great gift and so on trend. Love the pop of color with your scarf. Cute bag! Popping over from #WeekendBlogHop :-) Have a wonderful weekend! 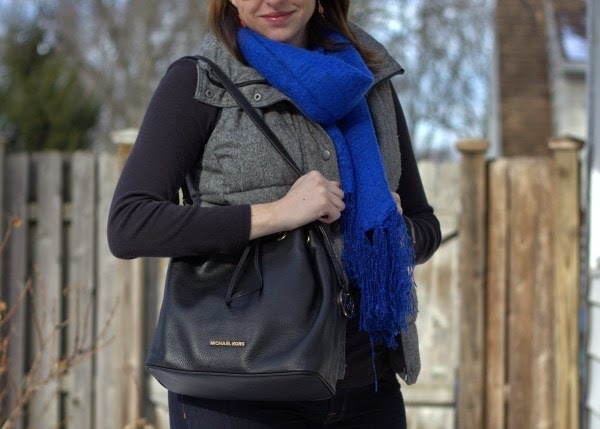 I love the bucket bag and herringbone vest. 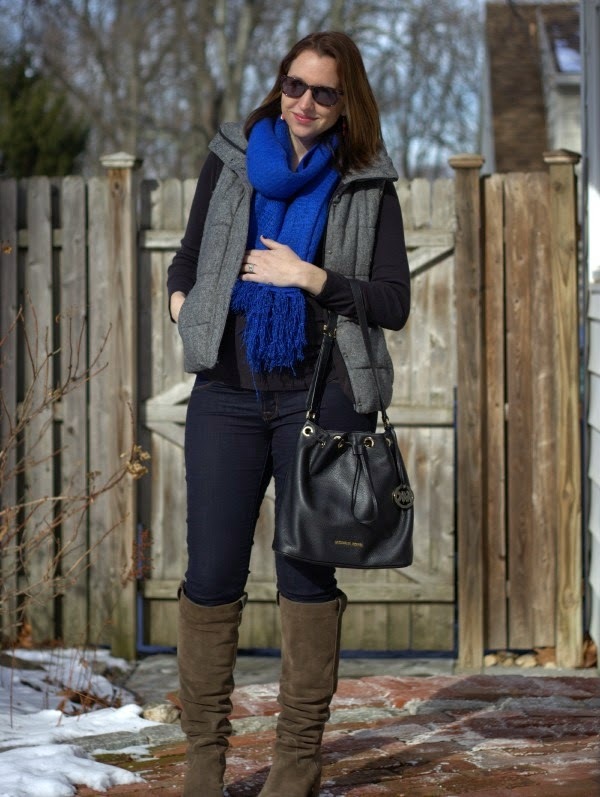 While that cobalt scarf makes a great color pop!